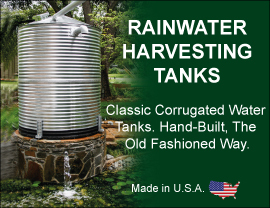 American Tank Company is the leader in constant water pressure booster systems that are specifically designed for customers of municipal water districts with low water pressure, or if they are boosting from a storage tank. Our systems provide an economical answer for both residential and commercial customers who need to increase low water pressure when water demand is high. As water flows to your house, it loses some of its pressure to friction inside the pipe. The higher the flow, the more the friction reduces your water pressure. This flow increase can be caused by more homes and businesses on your water main, the size of your home piping system or increased water use in your house. As water use increases, our systems work to keep line pressure constant. American Tank Company carries everything from Variable Speed Systems, Constant Pressure Systems, to simple booster pump systems to handle homes with up to four bathrooms, irrigation systems, and fire suppression systems with everything that is needed for your installer to plumb it to a residential water line.